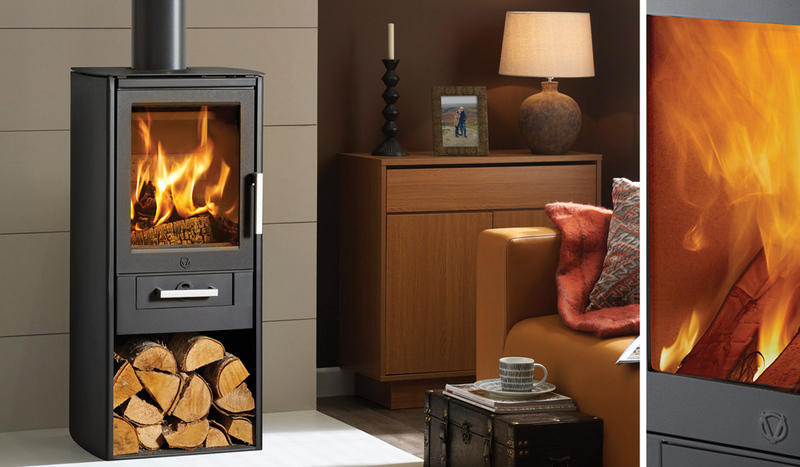 The Varde Samso’s unique design brings a modern look to a practical 5kW stove. A contemporary stove that works equally well in modern or traditional settings. Featuring an internal log storage chamber, and convenient ash drawer, refuelling and cleaning the stove is quick and easy. The expansive ceramic window provides a superb view of the roaring flames in this Nordic design unit.